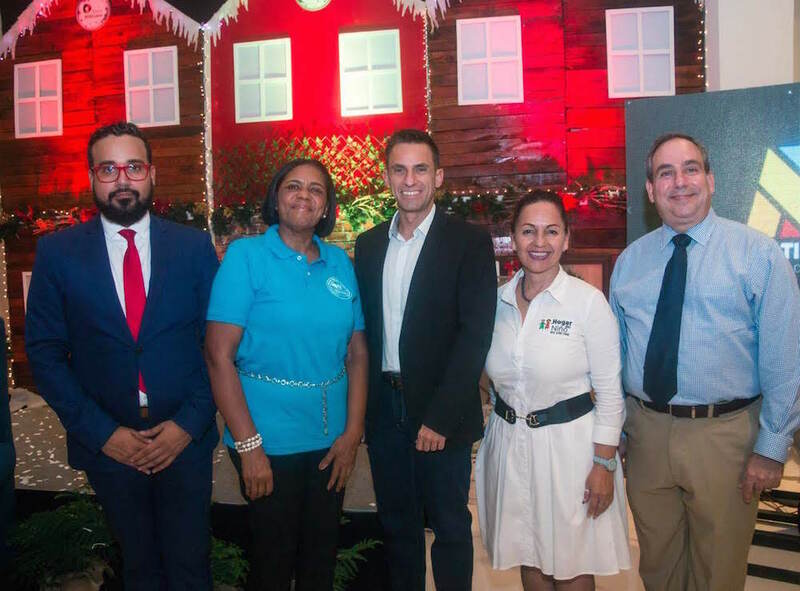 With the aim of continuing to contribute on the improvement of the quality of life of the children of the East Zone, Multiplaza presented for the second time the Christmas campaign “Villalegría”. On this occasion, the shopping center that is operated by Grupo Ramos, will collect funds in favor of the organizations Solidaridad Calasancia (SOLCA), the Patronato Benéfico Oriental Hogar del Niño and the Fundación Un Mundo Mejor para la Niñez Desamparada. The three entities are located in La Romana and in Higüey, respectively, and together they work with more than 2,000 children. This year, visitors can support the campaign by purchasing Christmas cards that will be on sale at the kiosks and establishments of both shopping centers at a unit cost of RD $50.00. 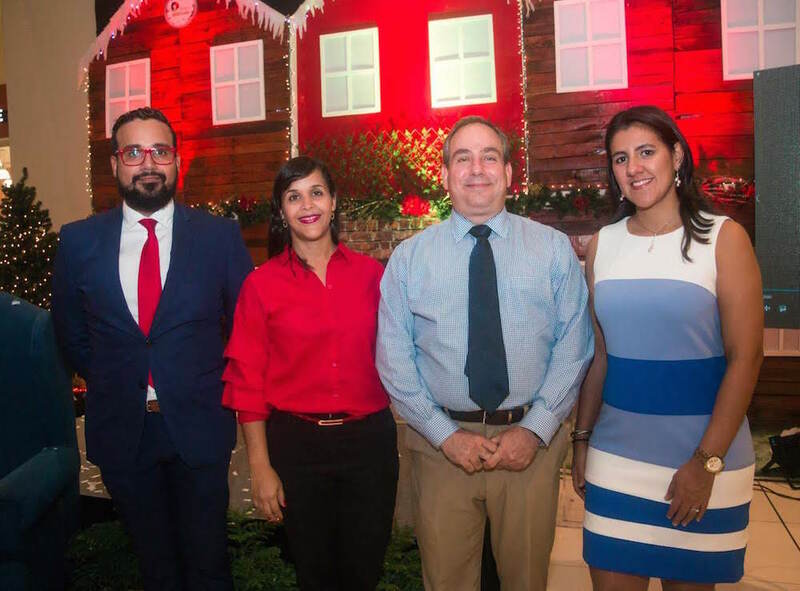 After acquiring them, they will be able to place them in the trees that will be found in the Christmas villages of the Multiplazas and in which various artistic and cultural activities will take place throughout the month of December until January 6, 2019. 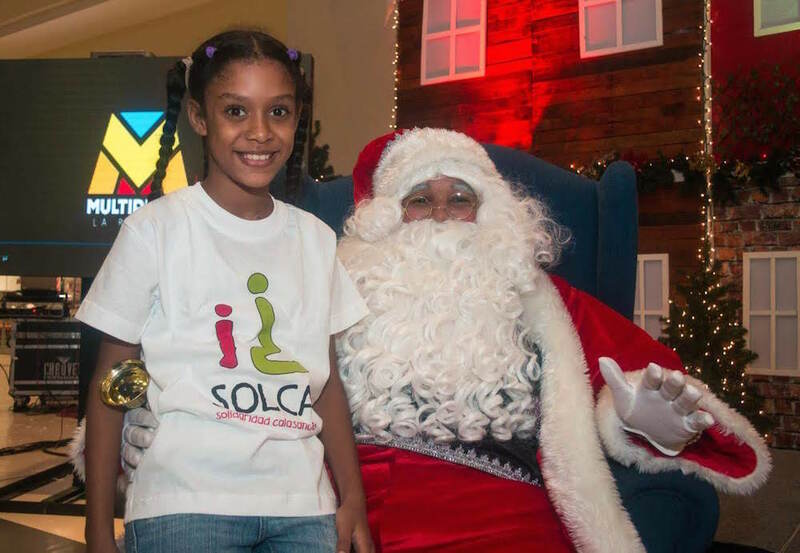 The details of the campaign were offered during a presentation event held at the Multiplaza La Romana facilities, which included the participation of executives and employees of Grupo Ramos, the company that operates the shopping center; representatives of the organizations SOLCA, Hogar del Niño and A Better World for Homeless Children, as well as business, customer and related allies of the plaza. In his words of welcome, Yulibeth Correa, Administrator of Multiplaza La Romana, highlighted the social commitment that Grupo Ramos has and its interest in contributing to the welfare of the communities in which it operates. This, through punctual and sustainable actions in areas such as health and education. “Villalegría is an initiative that seeks to contribute to the education and health of children in the East Zone, especially with those who live in La Romana and Higüey. That is why we have selected these three institutions within the framework of this second edition, which for several years have carried out programs in favor of the children of these two provinces. He invited them to join us. Let’s bring joy and hope together to more than 2,000 children, “said the executive. During the course of the campaign, various events will be held for the whole family in both Multiplazas, such as choir presentations and animations of children’s characters. The dates and times of these activities will be communicated through the social networks @multiplazalaromana and @multiplazahiguey on Instagram and Facebook. They are shopping centers operated by the company Grupo Ramos that were conceived with the purpose of offering the customer the largest number of shopping and entertainment options in one place and for the enjoyment of the whole family, including: hypermarket, cinema, restaurants, gym , clothing and footwear stores, home and appliances, pharmacy, banks, exchange agency, telecommunications services and children’s play areas. They are located in the provinces of La Romana and Higüey. The Calasancia Solidarity Foundation (SOLCA) promotes the social projects of the Order of the Pious Schools in Nicaragua, Costa Rica and the Dominican Republic. These are educational, cultural and health initiatives that benefit children, young people and their families, especially those with few resources and at risk of social exclusion. Grupo Ramos contributes since 2015 with this entity through its Multiplaza format, through the sponsorship of the Calasanz Cultural Center of Brisas del Mar, where about 30 children are attended each afternoon in school support and reading animation. The Oriental Benevolent Trust (PBO) is a non-profit institution created in 1976, in La Romana, whose mission is to transform vulnerable communities through self-sustainable projects in the areas of education and health. It is a center of integral education that belongs to the PBO and has the capacity to provide free of charge, education, food, medical and dental care to 1,700 students daily, in ages from 0 to 18 years of age. This organization is a home located in the municipality of Higüey that provides shelter, education, food and health to orphaned children and / or in high-risk situations. It is the only foundation of its kind in Higüey, with more than 20 years serving children and adolescents, to become good for the community.